Welcome to the official University of Gloucestershire student accommodation search engine. Studentpad lets you search for student houses, student homes, flats and lodgings in Gloucestershire and the UK. 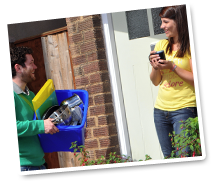 Find your perfect student house with Studentpad today! Located in Gloucester, the University of Gloucestershire is split across three campuses and caters for more than 9,000 students in total. Student accommodation is available throughout the whole of the Gloucester and Cheltenham area and meets the various needs of students living in Gloucestershire. Accommodation for students in Gloucester and Cheltenham includes shared houses, lodgings, student flats and studio apartments.